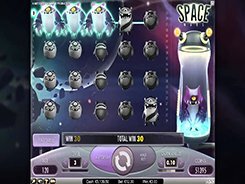 Cosmic Fortune is a spectacular progressive slot themed around outer space, UFOs and aliens. 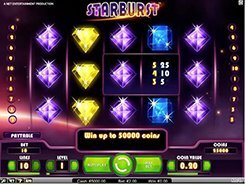 NetEnt has done a perfect job of rolling out the video slot with five jackpots, three of them being progressive. The slot is playable over 5 reels and 15 fixed paylines and a wagering amount can be anywhere from $0.15 to $75 per fall. Why do we say ‘fall’ and not ‘spin’? 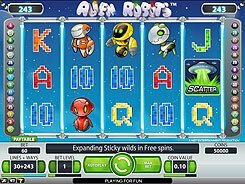 The point is that the slot uses the NetEnt branded Avalanche feature, whereby the symbols drop down, not spin as is the case in most other slots. 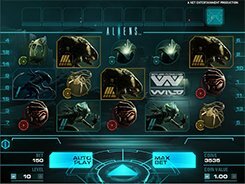 Whenever you hit a winning payline, the symbols involved in that combination disappear, and the next symbols fall down to fill in the empty space. 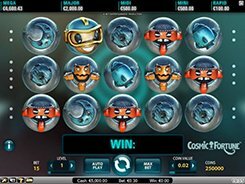 To be in with the chance of grabbing a life-changing progressive jackpot, you need to gain access to the Free Falls feature first; this is achieved by hitting three Golden Globes anywhere on the reels. 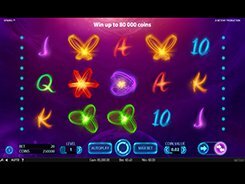 You will then be awarded 10 free falls that will be followed by the bonus game where you can win any of the three progressives (Mega, Major or Midi) or any of the two fixed jackpots (Mini or Rapid).